Dogs were so last year. (Sorry, Magic). Easing myself into 2015 gently, this little commission for The World of Internet Cats event as part of Flatpack Film Festival couldn't have come at a better time. 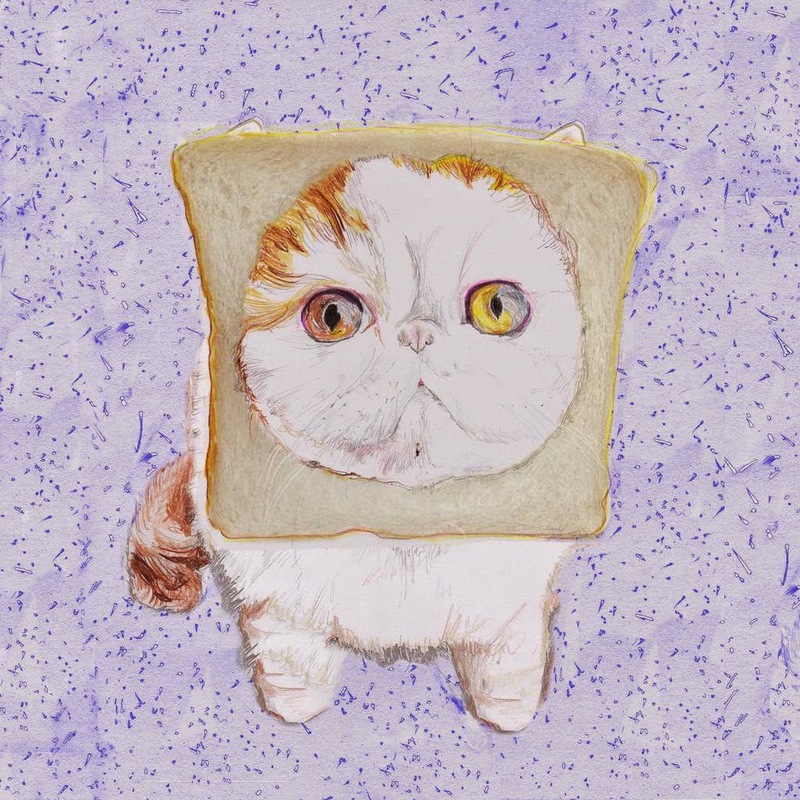 After declaring it a dream brief and diving straight into hours of rigorous research (watching countless cat videos on youtube) I chose to focus on the phenomena of cat breading. Keeping the image square was a conscious decision to make it an ideal instagram-sharing shape, whilst also neatly framing the slice of bread (which is neatly framing the cat). The kitty in question is Snoopybabe, an instagram star, and the heartbreaking filling to this fluffy illustration sandwich. Just look at that face. The event is in conjunction with F A M A L A M, exploring parenting and play in the 21st Centry, and after being carefully curated by nippers under 5 years the screening will take place on Saturday 21st March. To find out more click here, where you can also recommend cat videos for inclusion.